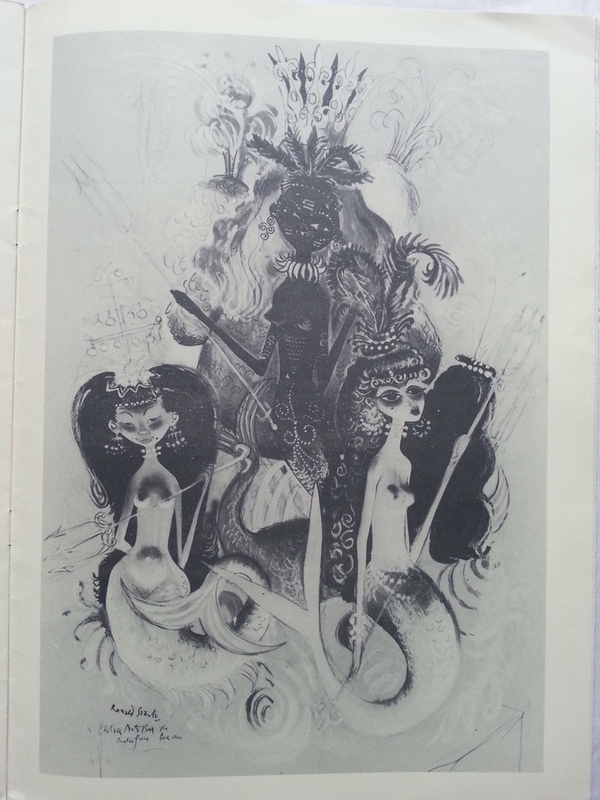 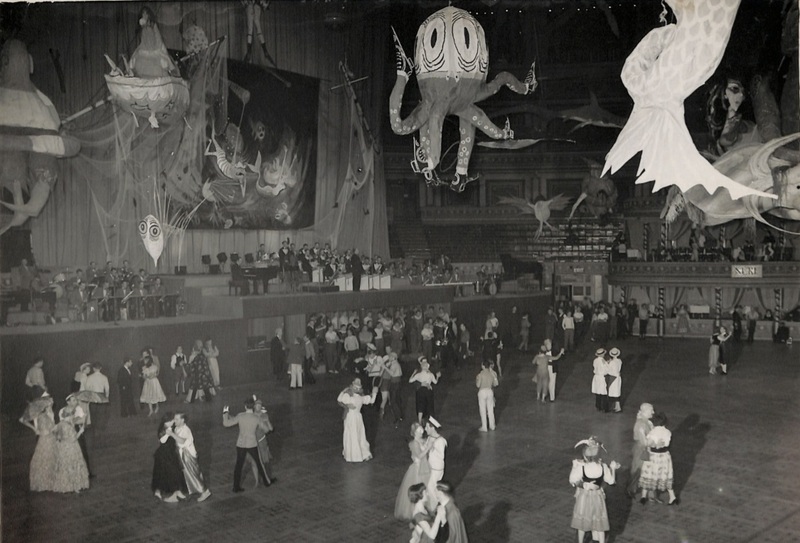 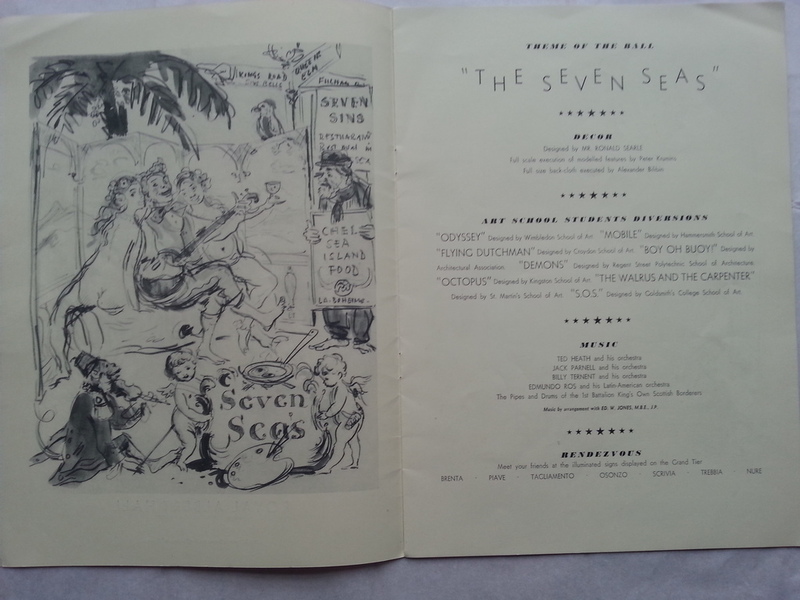 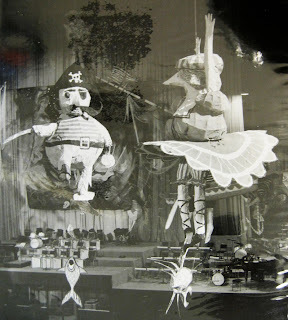 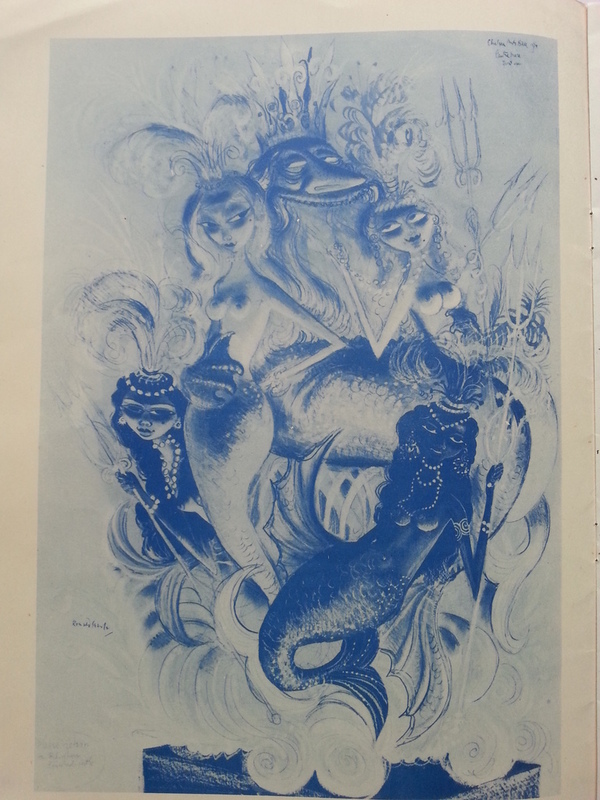 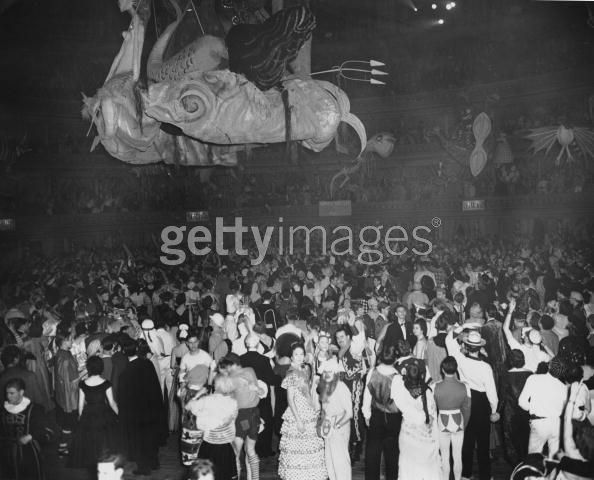 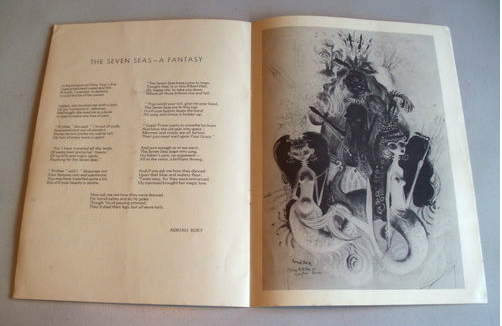 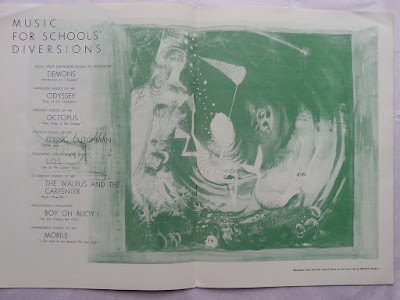 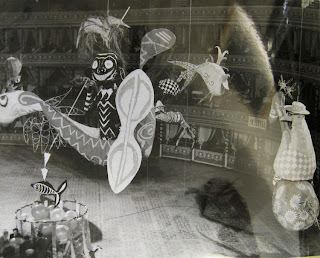 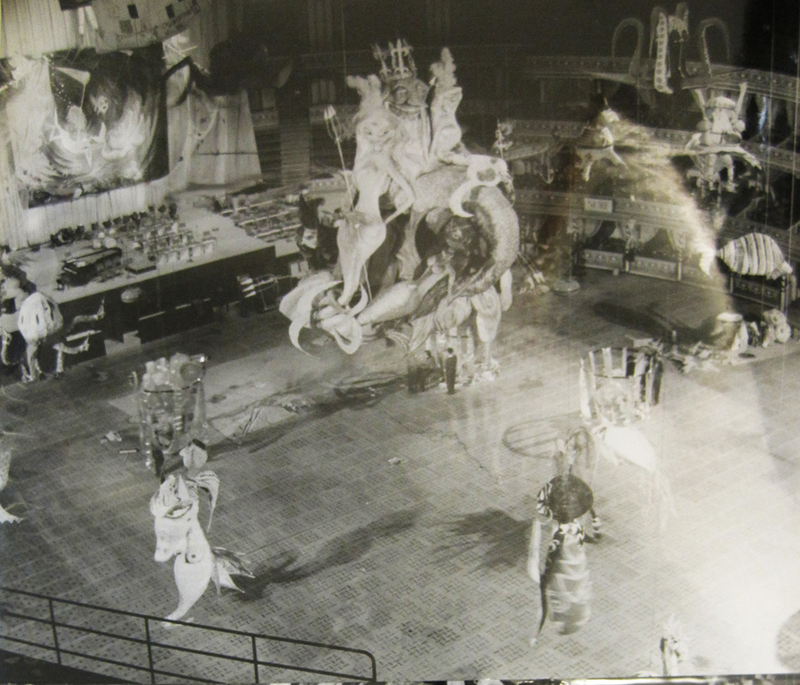 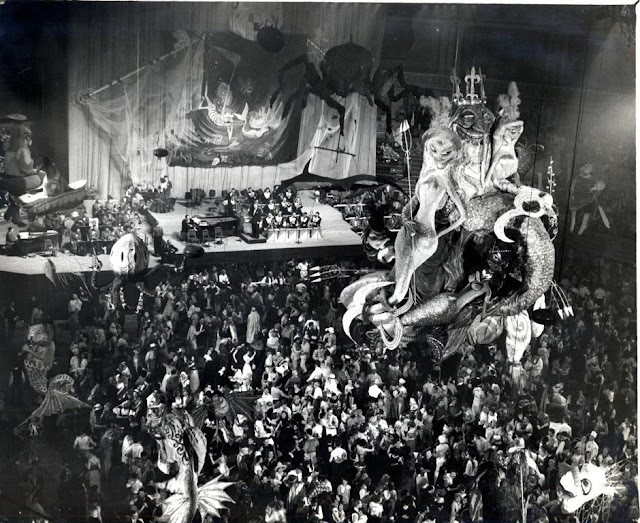 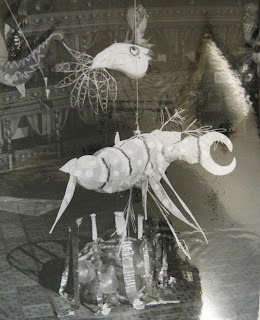 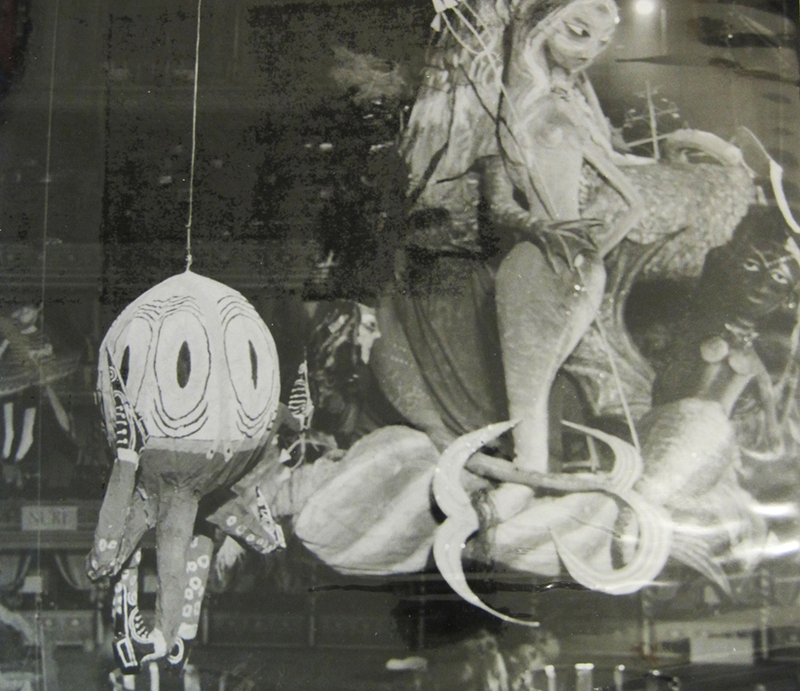 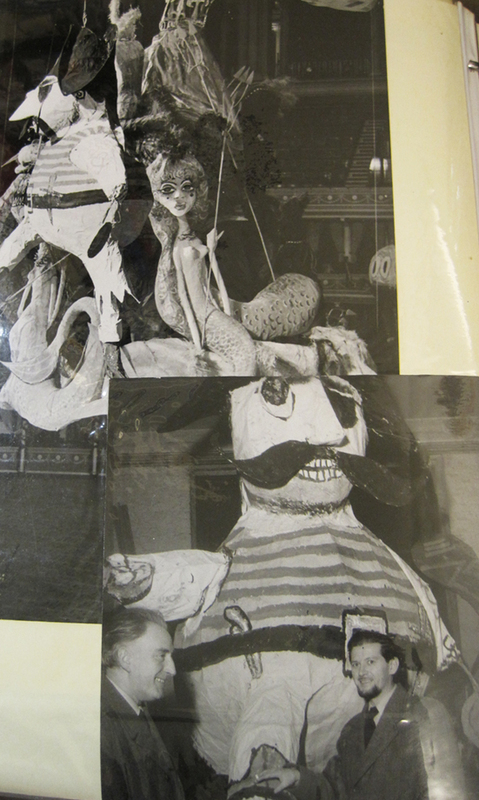 Searle contributed to the decor of the 1954 Chelsea Arts Ball (-the theme that year was 'The Seven Seas') with a 'mermaid' construction 50 feet tall! 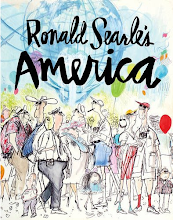 Searle's style was beautifully translated into three dimensions under his supervision. 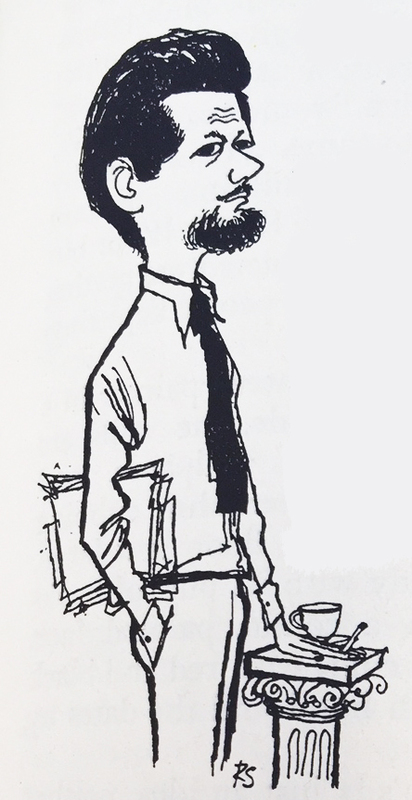 Here is one of Searle's preparatory sketches for the central model. 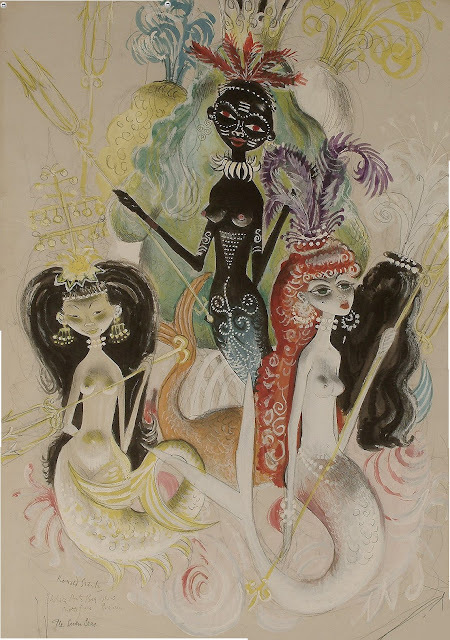 'The Seven Seas', 72 x 52cm (28 3/8 x 20 1/2in) watercolour, gouache and pencil. 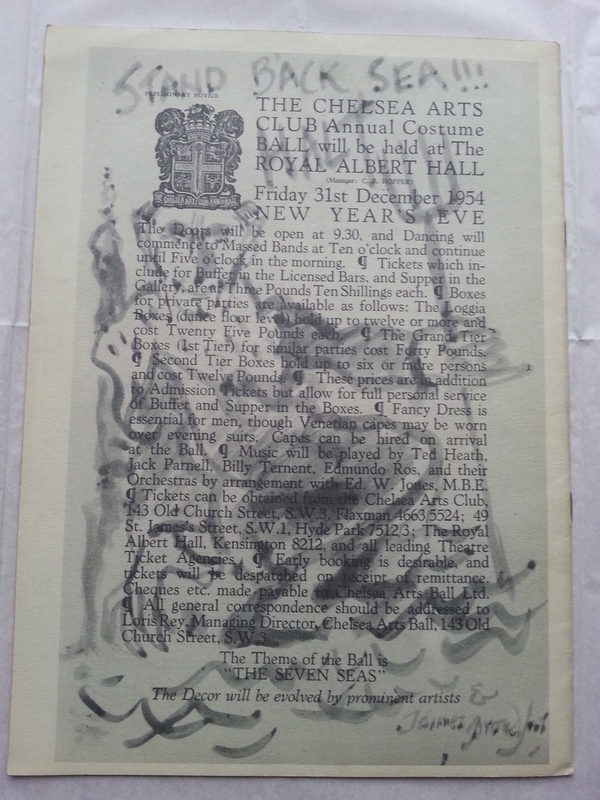 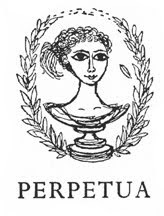 This drawing was also used included in the event's programme. In the Searle Archive, Hannover I found several photographic prints showing the models Searle constructed in detail. 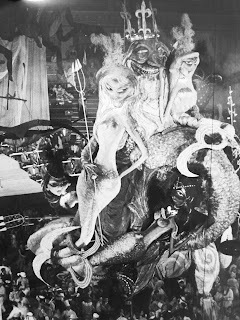 In addition to the central construction with its King Triton & mermaid figures there are numerous other submarine creations. 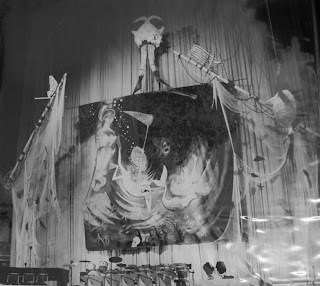 Evidently he also painted a back-cloth too. 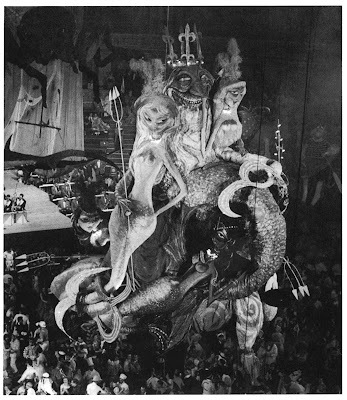 50 FEET TALL!!! Amazing! 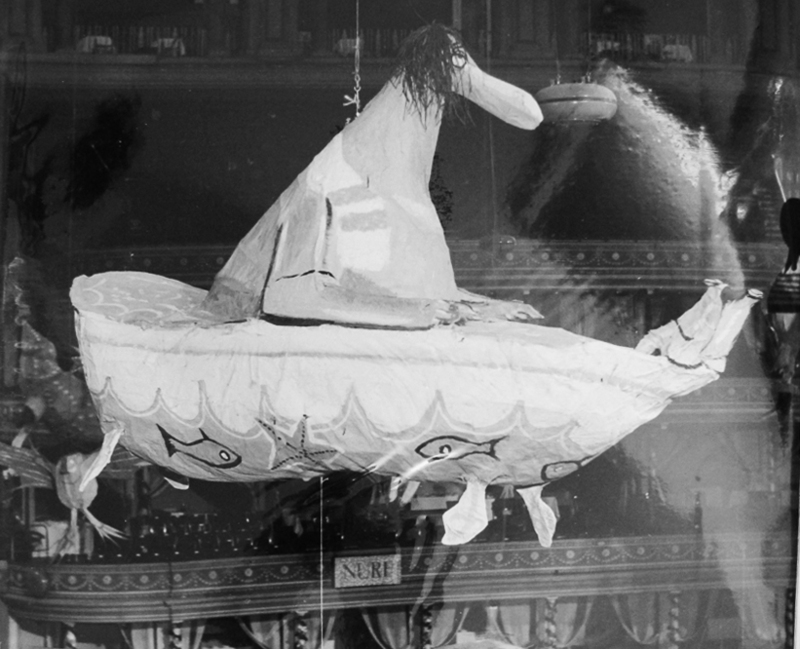 Do they still have it in storage anywhere? 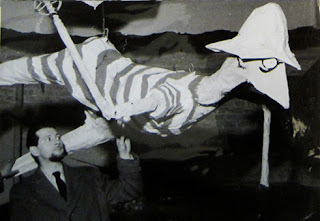 or did they destroy it? on the other hand, the Chelsea Arts Balls were painted by the contemporary media as depraved wanton insane affairs, and the decor could conceivably not survive the celebrations.